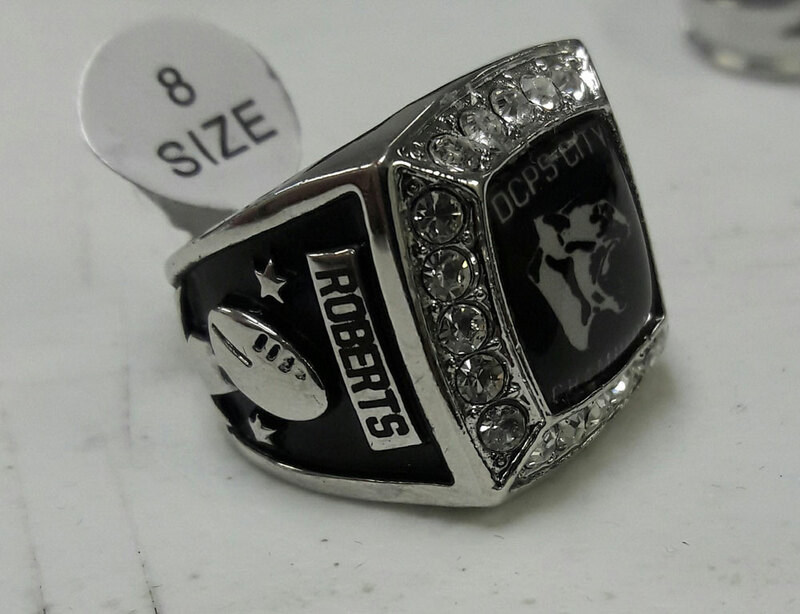 Custom fantasy football rings at wholesale. Fantasy football championship rings for fantasy players and teams starting at $29.99 ea. Factory Direct. Designed and Made in the USA. 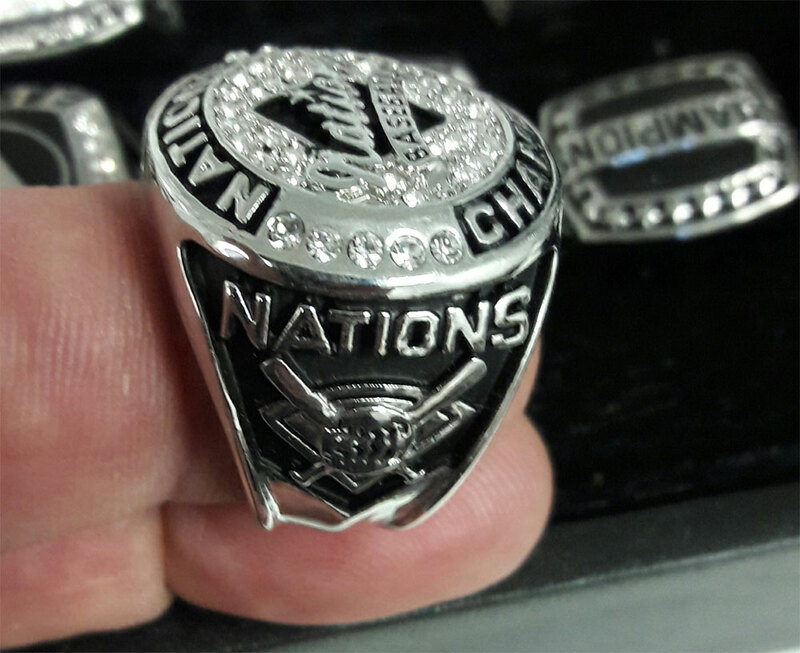 We are trusted by athletes and coaches for their custom championship rings. 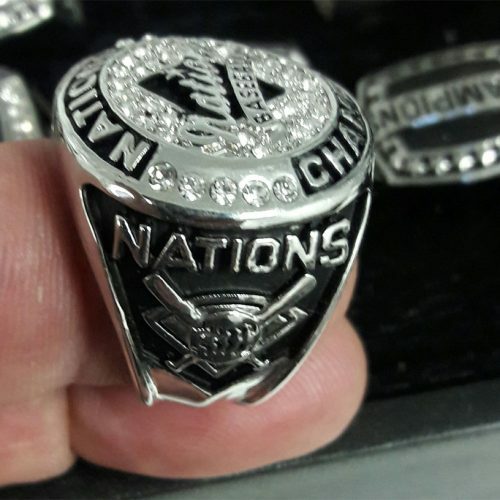 We create unique customized fantasy football championship rings for your fantasy sports teams. Personalize these rings with your name, logo, artwork and any other text. We are designing and manufacturing jewelry since 1940s and are the choice of players for their fantasy football rings in the USA. We use high quality raw material with our Italian craftsmanship skills aided with the latest technology to design unique, eye catching fantasy rings for you. 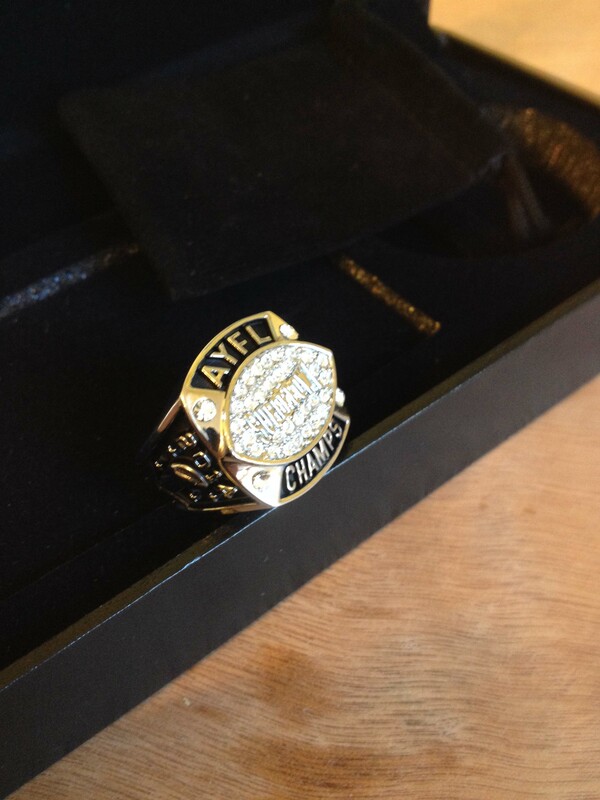 Get a Free Quote for Custom Fantasy Football Ring. Get a free quick quote for your order. We provide free artworks 24/7/365. 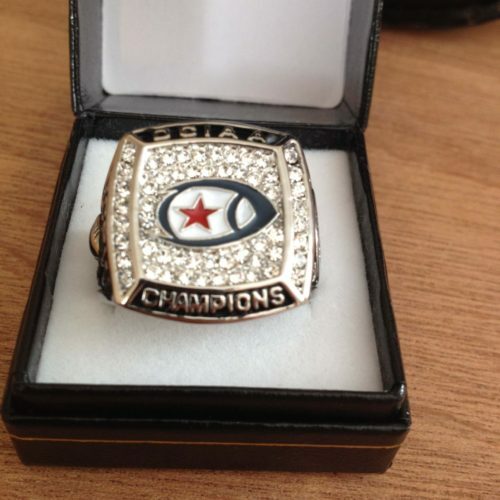 Personalized fantasy football rings for your fantasy players teams at affordable costs. Your ring is more than just a chunk of metal, it is your championship story. Lets us create something unique and memorable for your championship. We are a family owned business with Italian roots, designing and manufacturing unique, high quality rings to commemorate your special moments. We live to design jewelry of timeless beauty for the life’s most precious moments and memories. 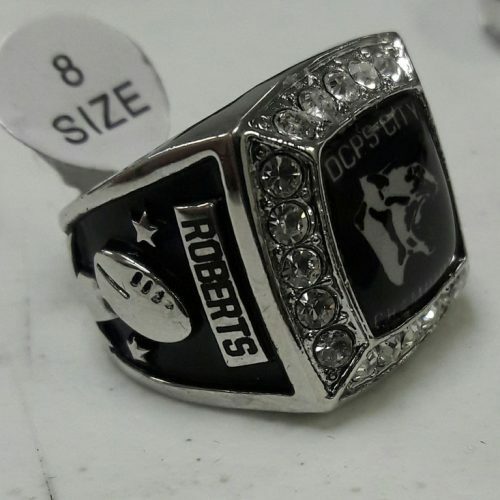 We proudly design and manufacture these custom fantasy football rings in SC, USA. 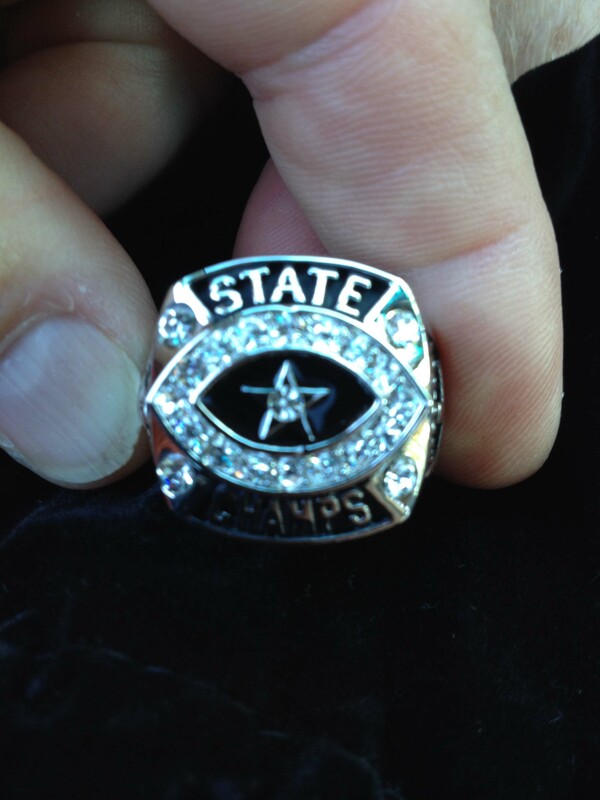 We design special fantasy rings for youth, high school, kids and state champions. Make your championship last forever with our fantasy rings. 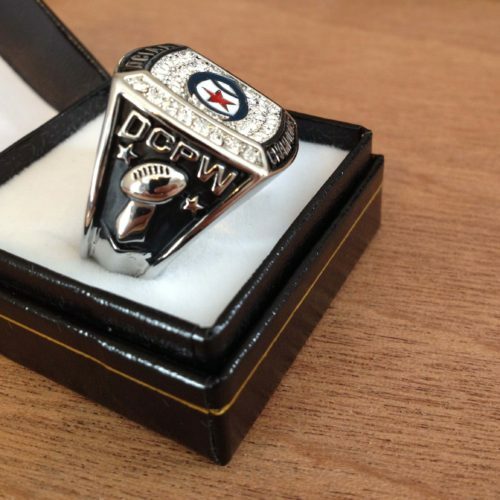 We make it easy to customize your fantasy football rings. Choose from our template and quickly customize these express rings with your logo, artwork, text and any other information. We also provide complete customization for material, design and engraving/imprinting. You can share your idea or design with us and we will bring that to reality. You ideas and designs are confidential with us. 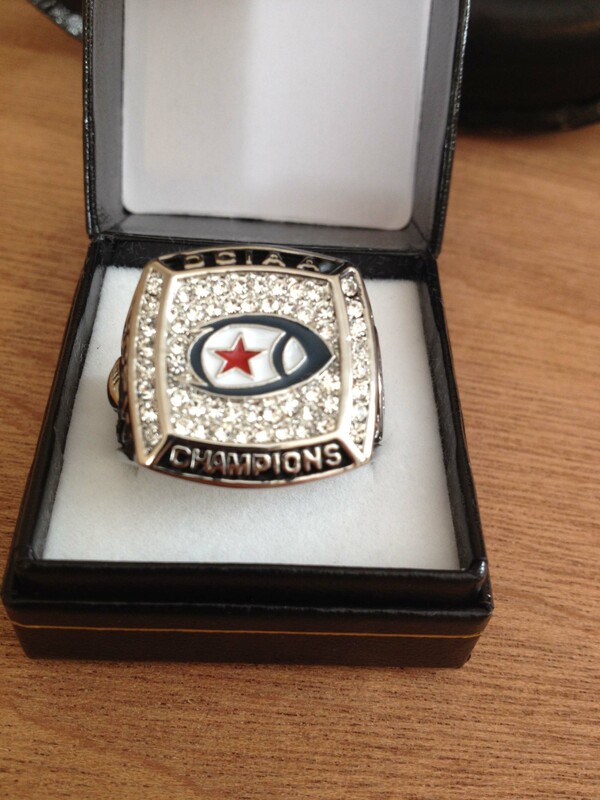 Our express fantasy football championship rings start at $29.99 ea with bulk discounts. Whereas our extreme rings (complete custom) starts at $99.99 ea. Price vary depending on quantity and design complexity. 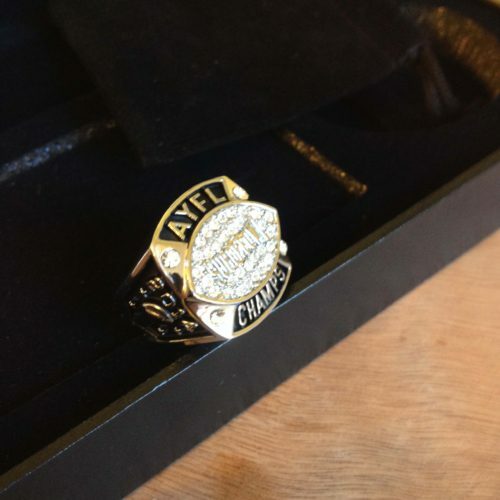 How to Design Your Fantasy Football Ring? We respond to most quotes in minutes. Maximum turn around time for quote is 24 hours. We provide free virtual artwork with every quote. We can meet any deadline. For small orders, we ship them the next day. Bulk orders are usually shipped within 7-15 business days, depending on design complexity and quantity. There is no minimum order limit. 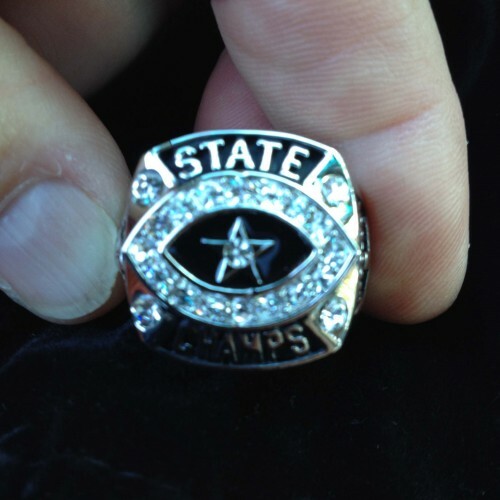 You and your team can buy your football state championship rings direct from the factory right here in the USA — and cut out the middle man and save 50%. With its history dating back to 19th century Italy, Digital Jewelry is trusted by amateur and elite athletes in the USA and around the world. Speaking of history, Fantasy Football goes back many decades to the San Francisco Bay Area in California. Today’s Fantasy Football craze can be traced back to the 1960s Oakland, California, across the bay from San Francisco. Wilfred “Bill the Gill” Wikenback, an Oakland area businessman and limited partner owner of the Oakland Raiders football team, spearheaded the effort to develop a system of organization and a rulebook, which became the foundation of modern day Fantasy Football. The first Fantasy Football draft took place in August 1962 under the leage name Greater Oakland Professional Pigskin Prognosticators League (GOPPPL). The popularity of Fantasy Football has grown over the years. FSTA estimates that the average fantasy gamer spends 3 hours per week managing a team(s), translating to 1.2 billion hours for 23 million p layers over a 17 week season. According to figures from Forbes and the Fantasy Sports Trade Association, the Fantasy Football market is valued at an estimated $55 to $70 billion in annual tangible and intangible activity. A quick visit to sites like Yahoo Sports, ESPN, DraftKings and FanDuel will immerse you in the online and virtual experience of this exciting fantasy sport. We use top quality raw material to ensure high quality product. We make these rings right here is Columbia, SC, USA. We provide free quotes and artworks for all orders. Free samples are also provided for bulk orders. Our custom fantasy football rings are as low as $9.99 ea. We provide discount for bulk orders. We are located in Columbia, SC USA. We proudly manufacture these rings here in the USA.